A single mother with two children would receive around $400 a month [in welfare] in Kansas, depending on where they live. The money is credited electronically to a state-issued card. Many use that amount to pay their bills, relying on the separate food stamp program to buy groceries. They might withdraw the money in cash using their card at an ATM and pay for things—whether it's rent or diapers—in cash. 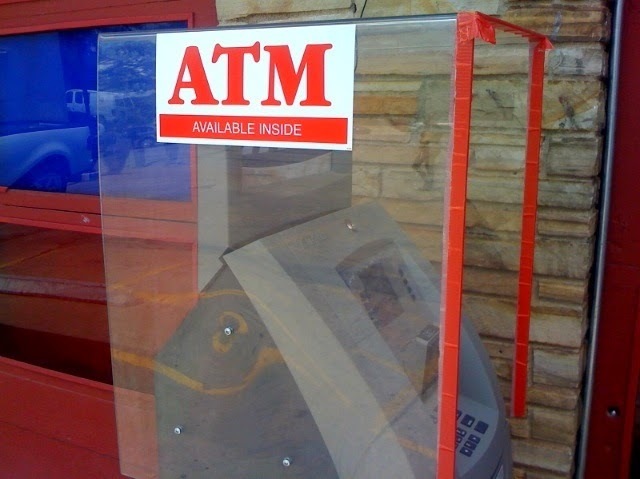 In Kansas's system, every withdrawal incurs a $1 fee, and if the beneficiary doesn't have a bank account, they will have to pay the ATM fee, too. Those fees might be worth it for some families, though, because the card issued by the state of Kansas isn't like a debit card from an ordinary bank. Ordinary debit cards allow their holders to make purchases for free in stores. In Kansas, beneficiaries get two free purchases a month. After that, they pay 40 cents every time they use the card to buy something. This is just the latest in a series of measures supported by Republican lawmakers in several states that would add to the misery of the poor. In Indiana, a proposal was floated (then eventually withdrawn) to force welfare recipients to undergo drug testing. In Wisconsin, the state legislature is considering a bill that would drug test people receiving public aid and prohibit food stamps from being used to buy "junk food." And one legislator in Missouri wants to make it impossible for food stamp users to buy lobsters or steak. These are obviously punitive schemes based on the idea that the poor are somehow living large on government benefits, and that they're too irresponsible to pull themselves out of poverty without more laws governing their behavior and diet. These regulations are nasty pieces of work—but the one passed in Kansas might even violate federal laws about making sure that public aid recipients can withdraw money without facing onerous fees. That would cost the state a reported $102 million in federal funding. "That's what can happen when lawmakers ram through legislation without proper vetting, and based on ugly stereotypes," wrote the editorial board of the Wichita Eagle.